Name the Player originated in 2013. It all started as a Facebook page where two college buddies could share Classic Rock Trivia. 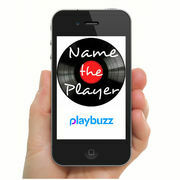 When Playbuzz came along we started using their formats to bring our quizzes to a new level. We have now have branched out beyond Classic Rock and make items for any genre. Check us out often, you never know what we will dream up next.